The GSA12S Gas Spring Monitor Stand mounts one LCD/LED monitor on the desktop via a desk clamp. This stand is ideal for organisations and professions where frequent adjustment of monitor height and position is important. Featuring Gas Spring technology, the GSA12S monitor stand makes it possible to change the monitor's height/position in 1 second (yes, SECOND). Simply use your hand to move the monitor around to the desired position you desire and it floats there like magic, NO tools required! 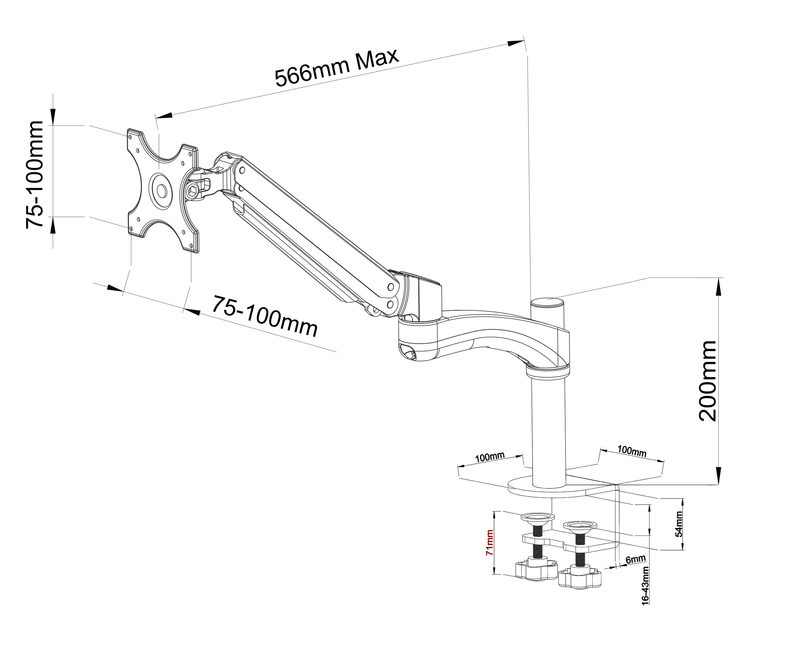 The GSA12S is also ideal for situations where your monitor needs to be set to a very specific location, and features an additional diagonal arm for increased adjustability. If your organisation needs a stand which can be easily manipulated then look no further. The GSA12S is a monitor stand + one diagonal arm extension, so it can reach anywhere within a ~57cm/22.5" radius: left and right, up and forward. Universal, fits LED/LCD monitors with VESA 75 or 100 mounting holes AND weight between 1.5 to 6 Kgs, will accept almost all monitors between 13" and 27"